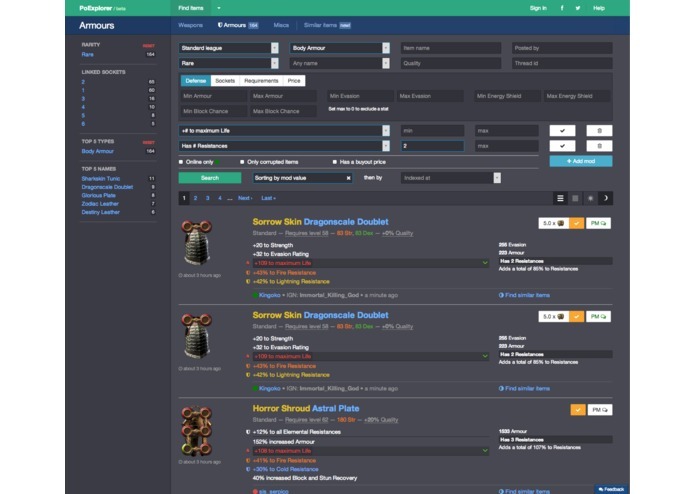 Path of Exile does not offer advanced trading features such as an auction house. 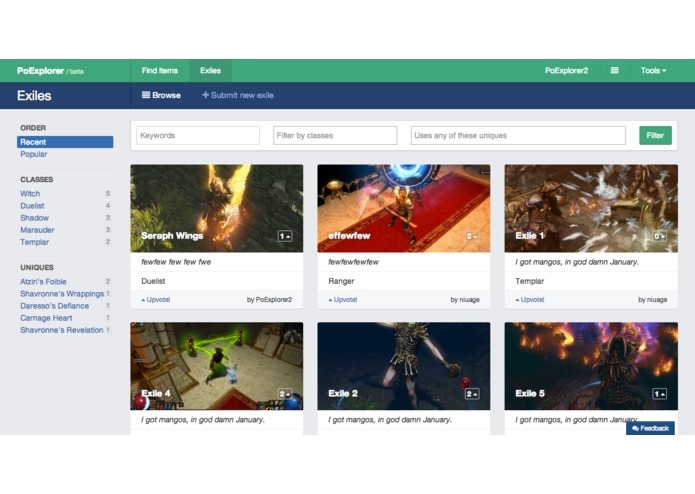 Players have to post their items on the official forum. Searching for an item with specific stats though thousands of threads and millions of items is next to impossible. 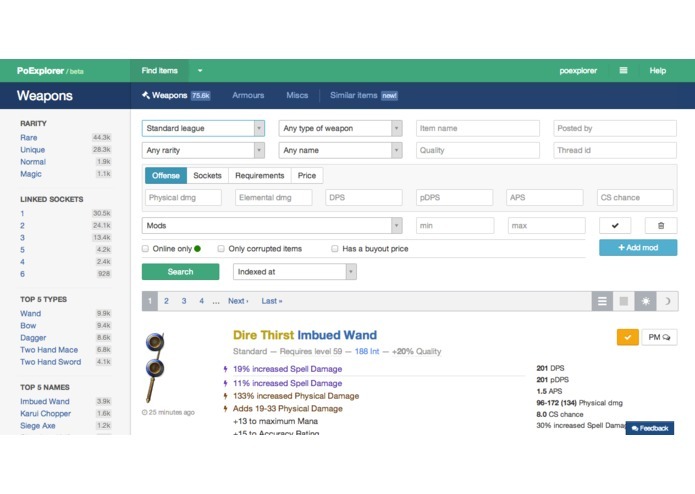 PoExplorer solves this problem by indexing all the items listed in the forums, and providing advanced search features, so that players can easily find the items they need. This is a personal project I put hundreds of hours in. I started it because I thought I could do better than the existing solution, and I did in many ways. It forced the competition to improve and we both pushed to be the best. The game community benefited a lot from this friendly competition. A new version of PoExplorer is coming!